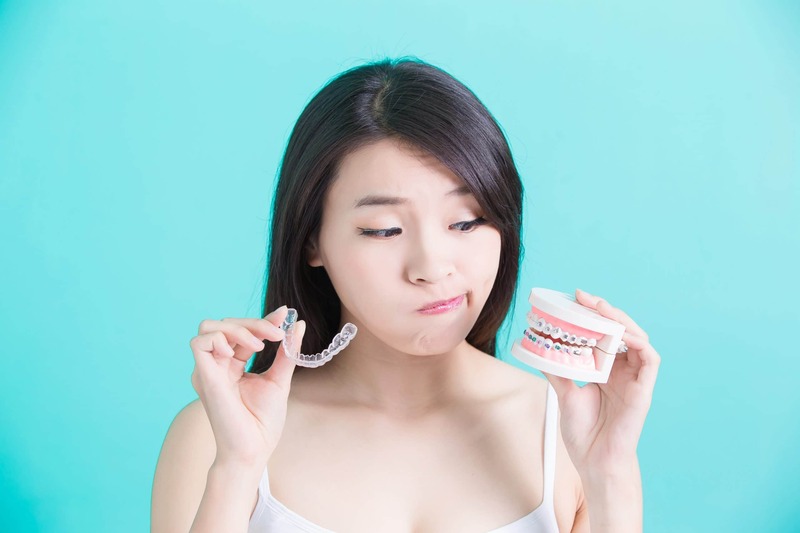 It is common for patients to receive a new set of aligners and experience some slight discomfort from an edge of their clear aligners. To resolve this issue, we recommend using an emery board, which has a coarse side and a smooth side, similar to a nail file. As a result, an emery board may help with smoothing out the edges to make for a more comfortable fit. Orthodontic wax is a silicone wax that applies clear and is intended specifically for dental use. In addition to using an emery board, you can also use orthodontic wax to help reduce or prevent irritation in your gums, tongue, or lip. Orthodontic wax is applied along the gum line where the aligner edges are located. A small strip of wax is pushed up against the gums to prevent Invisalign aligners from irritating the gums. Canker-X is an ointment that is used to treat canker sores and sores in the mouth. This ointment contains a topical anesthetic called benzocaine, which helps numb the area of application. This also acts a bandage for gums or lips, which helps provide hours of relief and comfort. If an Invisalign orthodontist doesn’t prescribe medication, over-the-counter-pain relievers may be helpful in the first couple of days wearing your new aligners. When wearing a set of aligners for the first time, it may be beneficial to take a pain reliever and apply aligners at night to avoid discomfort and soreness. This provides 6-8 hours of adjustment time. As a result, your aligners should have a more comfortable fit when you wake up. Invisalign has been said to cause dry mouth in some patients who do public speaking such as lectures, speeches, or business meetings. Biotene is a mouth spray that prevents dry mouth by moisturizing the inside of your mouth for hours of additional comfort. XyliMelts are lozenges that rest in between your cheek and gums in order to coat, soothe, and moisturize the mouth throughout the day or night. Dr. Milestone and our team at Milestone Orthodontics are experts in orthodontic care. We are here to answer any questions or concerns you may have regarding Invisalign or Invisalign Teen in Paramus NJ, West Orange NJ, Union NJ, Verona NJ, and the surrounding areas of Essex County NJ. Contact Milestone Orthodontics to schedule a free consultation today. Call now (201) 845-8411.